I’ve spent a lot of time at work working on animals linked to different letters of the alphabet. One of the characters I was drawing today was a bear. 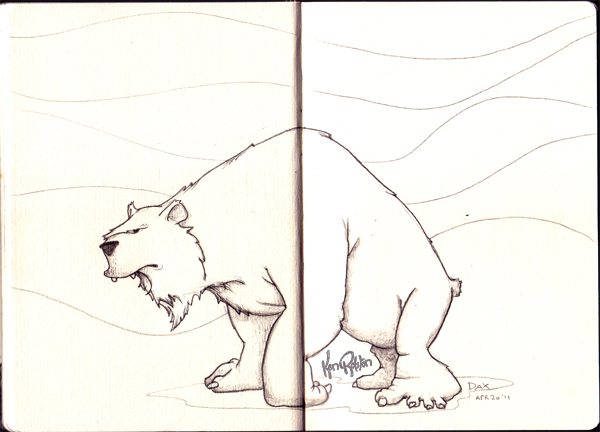 So this guy started out as a bear, then kind of morphed into a yeti/bear monster. I think I could have a lot of fun pushing this one a little farther!